The Ecumenical Center has received a grant from the state of Texas to provide counseling services on a sliding scale to active and former military members, and their families and caregivers. Service members and veterans often have to deal with traumatic events related to combat, grief arising from personal losses, a loss of spirituality and sense of personal meaning, and resulting post-traumatic stress. Spouses frequently work individually on issues related to family reintegration, estrangement, and roles within the family. Children and adolescents – who may struggle with separation, loss and/or family reintegration – often profit from play therapy, art therapy, or individual counseling for adolescents. An effective and scientifically validated individualized psychotherapy tool, EMDR was developed by Francine Shapiro, Ph.D. in 1989. At The Center, we use it to help service members, and at times spouses, resolve intense and troubling symptoms such as: flashbacks, panic, insecurity and feeling a lack of personal safety, anger, grief, and sleep disturbance. This type of counseling can be valuable for all couples, but especially for active or ex-military members and spouses. It can involve bringing two partners together for pre-marital assessment and readiness; or helping them work through conflictual marital issues; or reintegration and stabilization of the marital and family dynamics. Such counseling can help make home and hearth a welcoming sanctuary for all to come home to every day. In addition, The Center’s ten-week Child/Parent Relational Training group can help a couple work as a strong, loving parental team who can relate to and guide their children throughout the life cycle. At The Center, we provide this state-of-the-art therapy to our wounded warriors to help, as well as their family members.An innovative, researched, computer-based technique adopted by healthcare professionals around the world, neurofeedback has been found to be effective in helping to remediate a number of conditions including ADD/ADHD, anger, anxiety, PTSD, head trauma and more. Our intent is to help all who need us – both civilian and military. And thanks to donations from individuals, religious congregations, foundations and businesses, we turn no one away. Yet because our services and programs have real value, we make sure that they generate income wherever possible. We take many forms of insurance for counseling services. We offer scholarships for educational offerings. And we make services available on a fee subsidy, based on a client’s ability to pay. 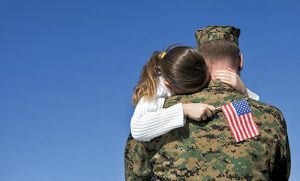 In addition, services to active duty or former service members and their families may be covered all or in part by grants from organizations listed below; consult with a Center representative for more information. If you have any questions, please contact The Center at 210.616.0885.